We started the search for Perth’s best beard and had plenty of worthy entries over the competition. With such a prestigious title on the line we recruited the big guns, Nova 93.7’s long running breakfast team – Nathan, Nat & Shaun. The hilarious trio had no credibility being clean shaven but fresh eyes have their advantages. 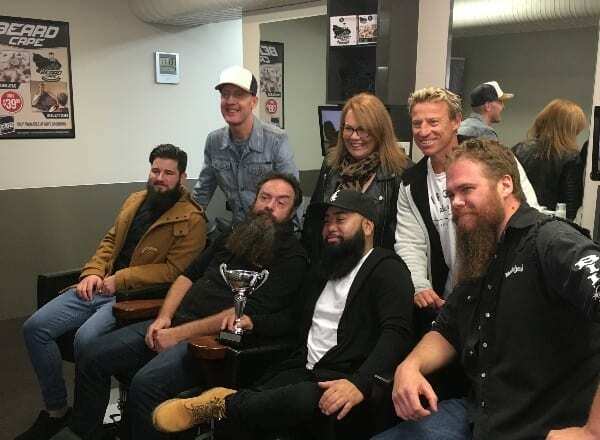 The winner received the Winners Trophy, Free beard trims for the season at Guys Grooming along with a Beard Cape and Milkman Australia Beard Products. Watch the judging and the final result in Channel 7’s Today Tonight episode below. Today Tonight teamed up with Guys Grooming – Perth's Premier Male Grooming Venue + Nathan, Nat and Shaun from Nova 937 to unearth Perth’s best beard. Here’s how the judging went down.